My favorite banh mi place (Cafe de Bella) closed down. 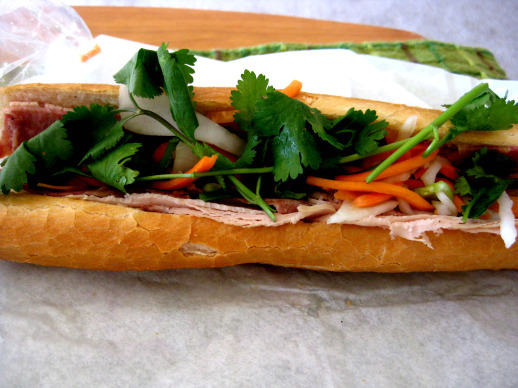 Traditionally, banh mi’s are made with French bread or baguettes and since I have lock jaw or TMJ, it’s usually painful on my jaw (though worth it!) 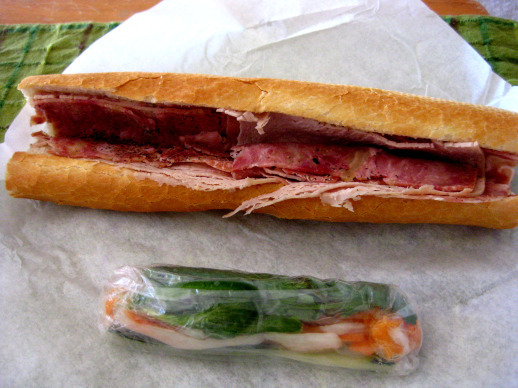 to eat Vietnamese sandwiches. Cafe de Bella had a nicely toasted and crisp bread without it being to too tough to chew. 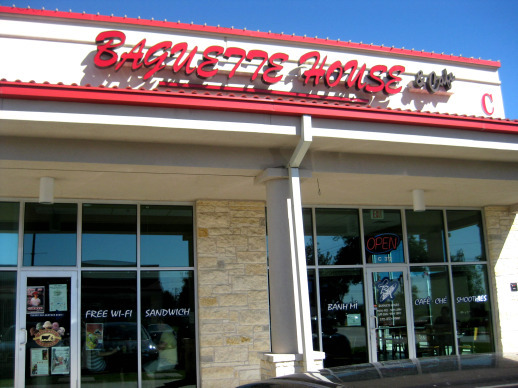 I was having a craving for banh mi on Saturday and thought now is better time than any to finally try out Baguette House. Baguette House opened a couple of years ago and has always been on my “must try” list since its opening. I have to say I’m very pleased I came. Their bread is a little tough for me but my jaw is oversensitive and I’m willing to bear the pain occasionally for good quality banh mi’s. The service was so quick that I didn’t have time to sneak a picture of its interior but suffice to say, it’s super clean and cute. Even as I’m typing this I’m looking forward to making some time and going back sooner rather than later. So I’m partial to the classic Banh Mi fillings but you can get it with a variety of fillings (grilled pork anyone?). I stuck with traditional classic, cold cuts, pâté, and veggies (cucumber, pickled carrots and daikon), jalapenos, and cilantro. Though I like my banh mi’s with a generous slathering of Vietnamese mayonnaise, I do appreciate Baguette’s House more modest spread. I suppose that is healthier and I’m recently all about tiny baby steps for healthier behavior modifications. 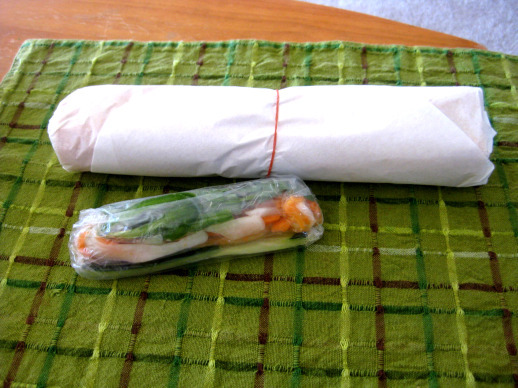 Baguette House very courteously wrapped my veggies separately so I could pick and choose what veggies to put in my sandwich (I stuck them ALL in). I’ve never seen this accommodation as standard before and I’ve eaten a lot of banh mi’s in my day! That extra care of service really brightened my experience. Oh, one more thing! The price, at around $3.25 a sandwich is well worth it! It’s build your own sandwich time! 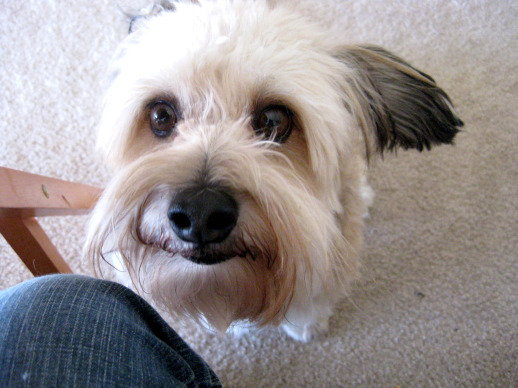 I think Ratchet, Selina’s cute pup wanted to share….